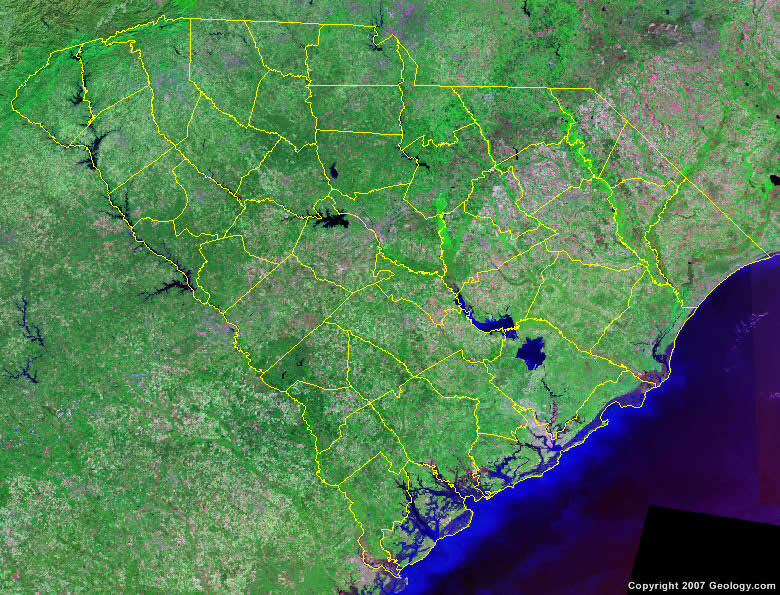 The map above is a Landsat satellite image of South Carolina with County boundaries superimposed. We have a more detailed satellite image of South Carolina without County boundaries. Copyright information: The maps on this page were composed by Brad Cole of Geology.com. If you want to share these maps with others please link to this page. These maps are property of Geology.com and may not be used beyond our websites. They were created using data licensed from and copyright by Map Resources.